Gov. Bruce Rauner's latest position on abortion has critics and supporters reacting as the campaign for governor continues to heat up. Mary Ann Ahern reports. Gov. Bruce Rauner's latest position on abortion has critics and supporters reacting as the campaign for governor continues to heat up. Rauner has promised to veto an abortion protection bill, despite describing himself as a pro-choice Republican. The legislation would have expanded coverage for abortion. “This decision should not be impeded by government,” he said at the time. Still, the Republican Party provided a Rauner supporter for comment on the matter. 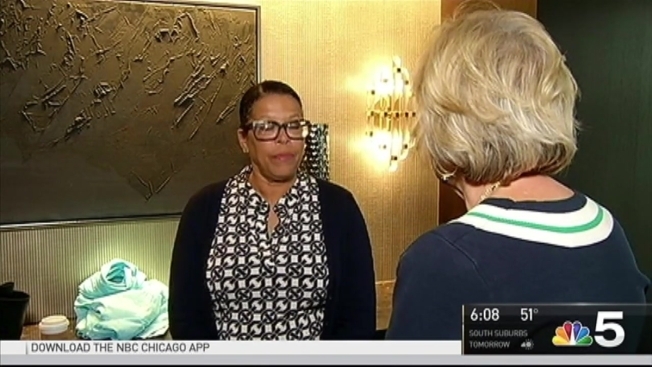 “This is an issue of funding for abortion in the state of Illinois and how that is funding and taxpayer funding going beyond and expanding what we already pay,” said Cheryl Manor. But Cook County Board President Toni Preckwinkle disagreed. Cardinal Blase Cupich praised the move. The personal PAC, an Illinois abortion rights policital action committee, was sharply critical of Rauner, accusing him of being Donald Trump on steroids. “It defrauds every voter who took him at his words and mistakenly believed him to be an honest man,” said Terry Cosgrove.